As a historian of twentieth-century Europe, my mind goes back to the fate of the SM St. Louisin 1939, when the internal, domestic policies of far-off countries sealed the fate of over 900 German Jews. 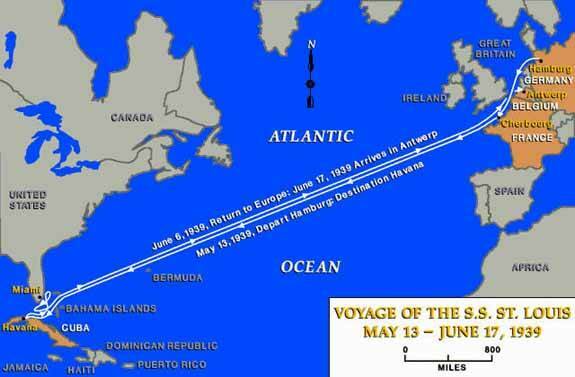 On 13 May 1939, the ship left Hamburg for Cuba. There, they were denied docking at port, either on tourist visa or as refugees. For the past 25 years, on my first day of an introductory history course, I ask students why they hate history. At first, they are surprised and even astonished by my question. But they soon lose their reticence and offer all the usual answers: “history keeps repeating itself;” “we never learn from history;” “history has no importance in our contemporary world or my life.” As professional historians, we have perhaps failed in our duty to fully engage the public with the past. I can’t help thinking of this failure as we witness hour-by-hour the fate of 630 human beings literally adrift at sea in the Mediterranean. Their lives hang in the balance because of the political choices and poisoned culture of contemporary Italy. For the past 25 years, on my first day of an introductory history course, I ask students why they hate history. At first, they are surprised and even astonished by my question. But they soon lose their reticence and offer all the usual answers: “history keeps repeating itself;” “we never learn from history;" “history has no importance in our contemporary world or my life.” As professional historians, we have perhaps failed in our duty to fully engage the public with the past. I can’t help thinking of this failure as we witness hour-by-hour the fate of 630 human beings literally adrift at sea in the Mediterranean. Their lives hang in the balance because of the political choices and poisoned culture of contemporary Italy. Once upon a time Italians still enjoyed their (undeserved) reputation as “italiani brava gente.” That era has definitively come to an end. 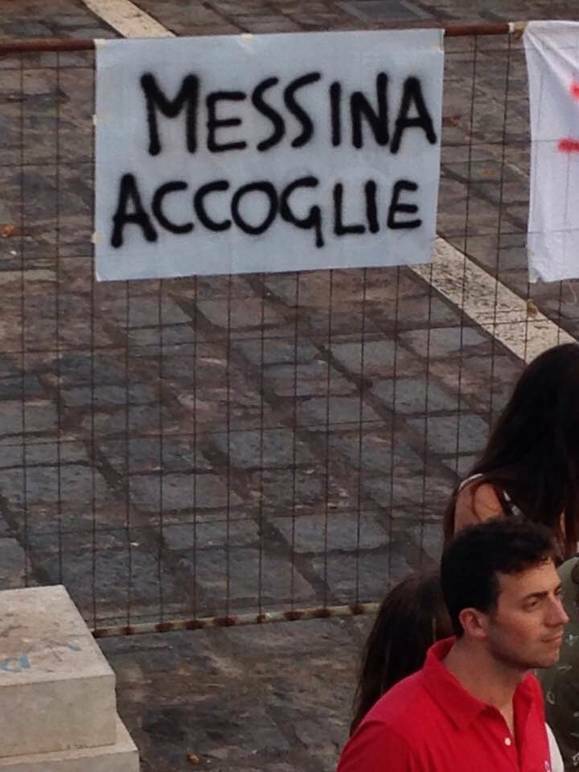 Italians are demonstrating that given the right (that is, wrong) conditions, they can be just as prejudiced and racist as anyone else. The Aquarius rescued 630 people adrift off the Libyan coast over the weekend according to Médecins Sans Frontières (MSF) and SOS Méditerranée, who jointly operate the ship. They reported 120 minors and six pregnant women on board. 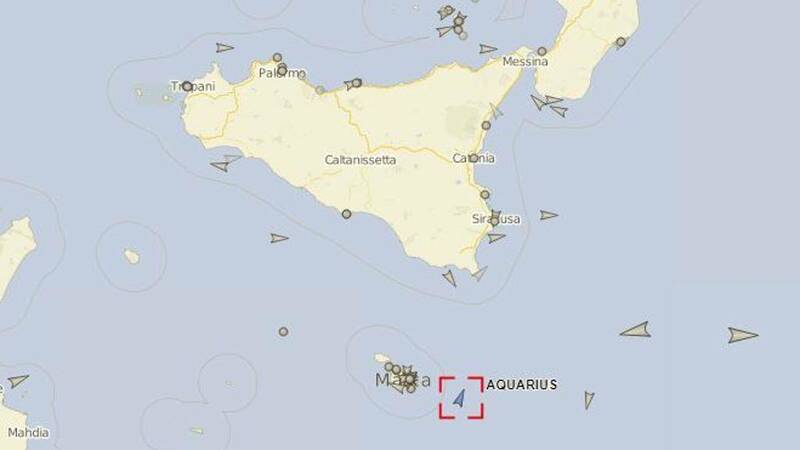 According to EU protocol, the ship should call into the nearest port to permit humanitarian aid and assistance. 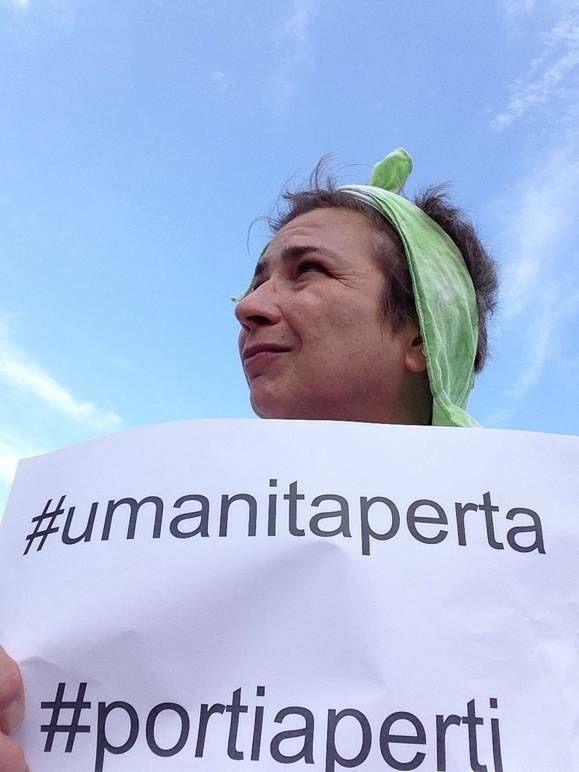 But both Malta and Italy refused, with Italian Minister of the Interior, leader of the anti-immigrant Lega party Matteo Salvini, provocatively tweeting the hashtag #chiudiamoiporti. 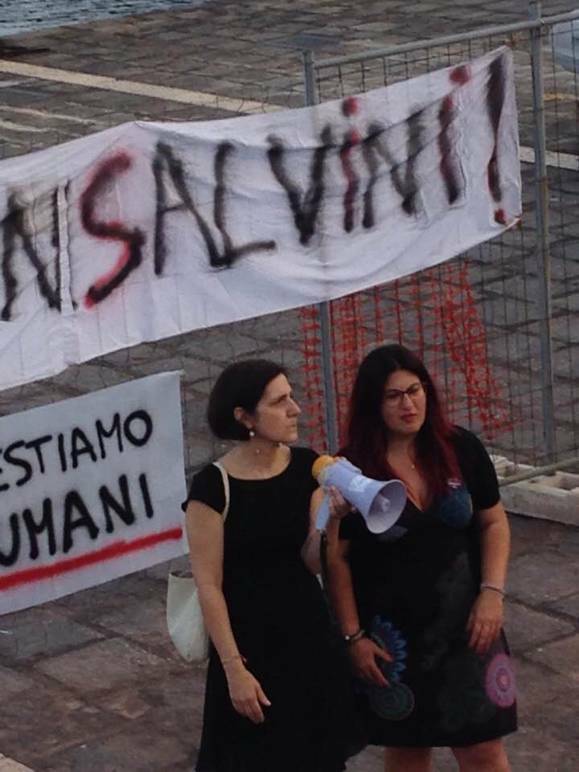 Amnesty International condemned both Malta and Italy for abandoning the age-old custom of rescue at sea. The International Convention for the Safety of Life at Sea stipulates that any ship learning of distress at sea must assist, no matter the circumstances. 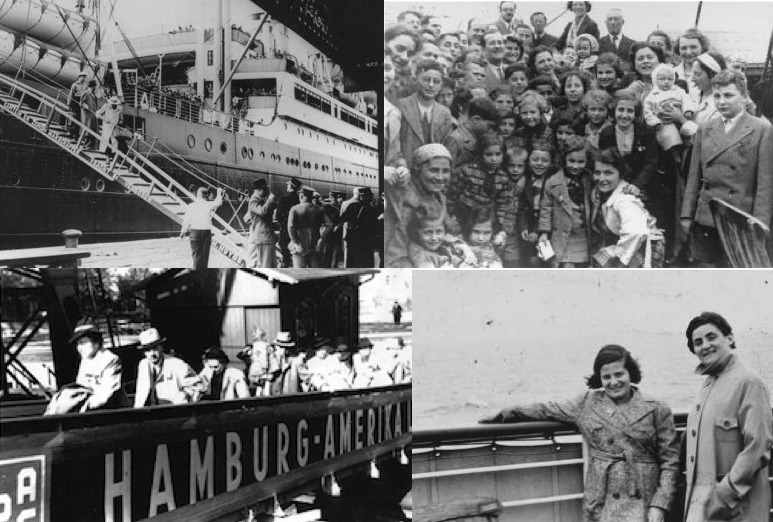 There was a time—just one generation after the unification of Italy—that millions of desperate Italians fled the new country, seeking a better life in the Americas, Australia, Belgium and elsewhere. 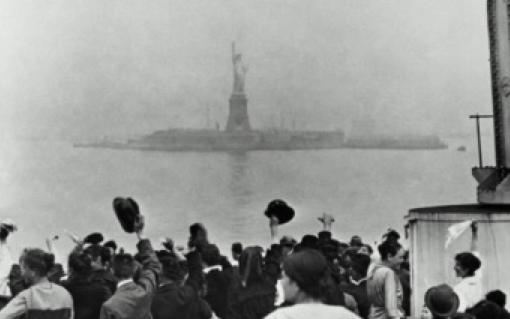 Until 1924, immigration to the US was almost limitless, with few actual controls in place. And we all know the discrimination and prejudice suffered by our ancestors in foreign lands. A change in government in Spain, though, has delivered some measure of hope. Conservative Prime Minister Mariano Rajoy was recently forced to step down, permitting a center-left government to form there under Pedro Sanchez. Deputy Prime Minister Carmen Calvo said Spain would offer refuge – in pointed contrast to Italy’s Deputy Prime Minister Salvini. Calvo said Spain could simply not remain impassive in the face of a humanitarian crisis. The refugees are expecting in Valencia by the week’s end. It would seem the story has a happy – or at least a not tragic – ending. But authorities warn that the precedent established by Italy will result in the deaths of hundreds, if not thousands, of people in the near future. We have arrived at a situation where the internal, domestic policies of countries in Europe will determine whether innocent people live or die. As a historian of twentieth-century Europe, my mind goes back to the fate of the SM St. Louisin 1939, when the internal, domestic policies of far-off countries sealed the fate of over 900 German Jews. On 13 May 1939, the ship left Hamburg for Cuba. There, they were denied docking at port, either on tourist visa or as refugees. (After five days anchored in harbor, only 30 passengers were eventually allowed to disembark.) The US Coast Guard, acting on instructions from the vehemently anti-Semitic US State Department, refused the ship entry to American ports. Canadian officials acted similarly. The ship returned to Europe and docked at Antwerp on 17 June 1939 and passengers were distributed to Belgium, Holland, France and the UK. World War II began 11 weeks later. Roughly one quarter of the passengers would subsequently perish in the Nazi extermination camps. Somehow, a narrative has taken hold in Italy, Hungary, Britain, Poland and the United States that these countries are under “assault” by others. Rising economic uncertainty is part of the reason for this but surely there is an underlying fear and ugliness that infects even those whose economic interests are not threatened. A deadly brew of xenophobia, nationalism, and racism threatens the European project as well as the lives of thousands of innocent people. To their credit, the mayors of Palermo and Naples have issued a call for their cities to welcome the refugees. Some years ago, Napoli mayor Luigi De Magistris was in NYC and spoke eloquently at the John D. Calandra Italian American Institute in midtown. As a port city, De Magistris insisted that Napoli was open to the world and understood the ancient custom of welcoming the stranger. He poignantly asked why it is possible that money could travel around the world in seconds without restriction but people – living men, women and children with hopes and dreams – were not granted the same right. Italy may one day return collectively to this more humane and compassionate vision of the world. For now, we are dependent on individuals, civic associations, religious organizations and spontaneous groups to remind us of our civil and human responsibility.